The radio controlled digital wall clock BNC014-RC by Braun is a real all-rounder. 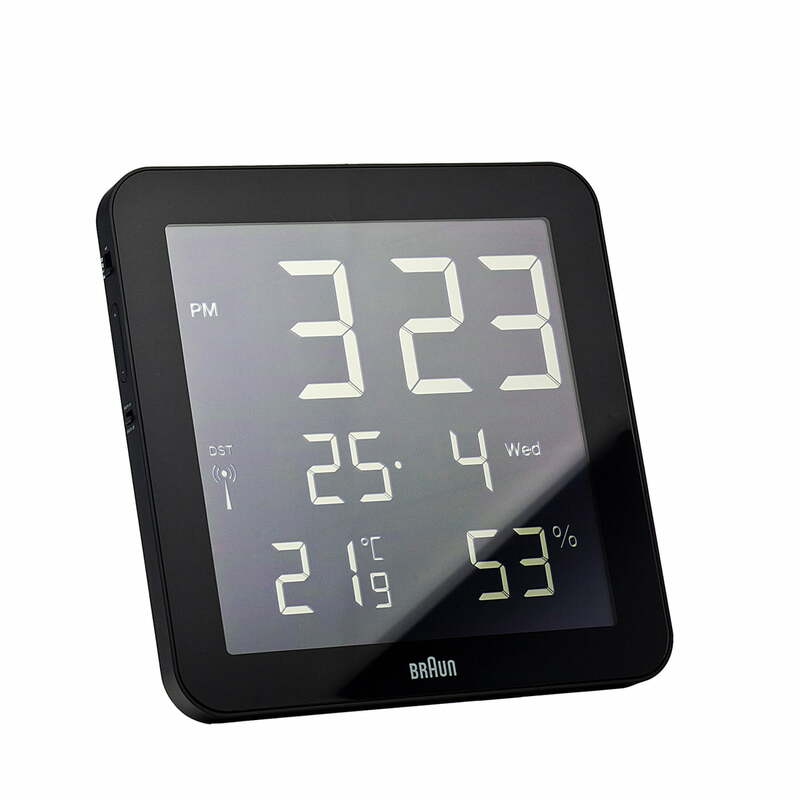 The current time is clearly visible with big numbers, as well as the alarm time, the date, the day of the week, the current room temperature and humidity on the LCD display. The clock is also usable as a table clock or alarm clock with its included foldable stand on its back.